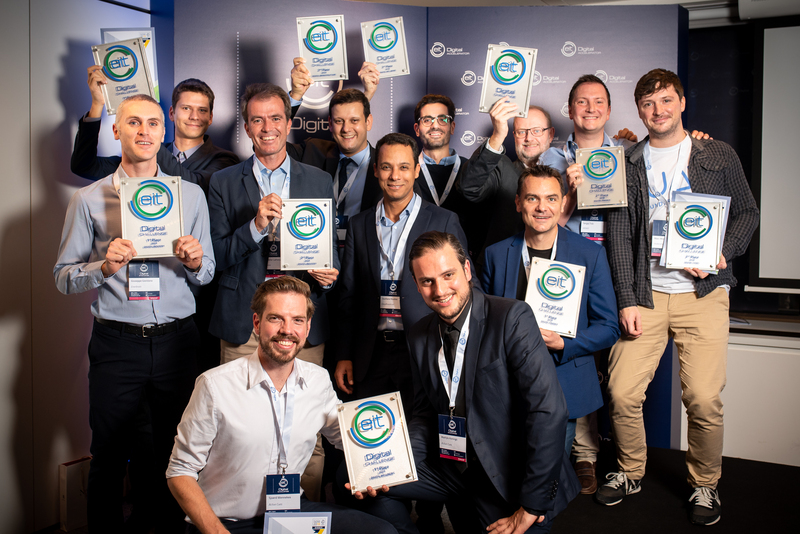 EIT Digital has selected Europe's ten best deep technology companies in the fifth edition of the EIT Digital Challenge during a final pitch event in Brussels. The winners will receive comprehensive support to accelerate their international growth. The EIT Digital Challenge sought for the best scaleups - fast growing startups ready to scale their operations - in five deep technology areas: Digital Industry, Digital Wellbeing, Digital Cities, Digital Finance and Digital Infrastructure. 200 companies from 24 EU countries had applied, of which 25 were invited to prove themselves in front of international expert juries during the final event in Brussels. The ten awarded companies will receive a full year of dedicated growth support from the EIT Digital Accelerator, worth €50,000. Additionally, the first place of each category will also receive a cash prize of €50,000. Enerbrain: Turning wasteful buildings into smarter, healthier & more sustainable ones with an IoT energy solution. Cargonexx: Intelligent transport network for long-distance truck transports in Europe. Active Cues: Serious games that stimulate physical and mental activity for people with cognitive challenges. Medicus AI: AI-based platform that converts health data into an interactive experience. Toposens: Robust, ultra-low power and low-cost 3D ultrasound and radar sensors for smart buildings and autonomous vehicles. Understand.ai: Training and validation data to make autonomous driving safe and reliable. Leveris: Modular, non-legacy banking-as-a-platform (BaaP) solution architected to address the challenges facing banks today. Kasko: End-to-end insurance platform allowing insurers to design, distribute and run digital products. Baffin Bay Networks: Subscription-based cyber security service in the cloud. EasyBroadcast: Solving the cost and quality challenges of broadcasters and OTT players streaming video and audio content. "Deep tech entrepreneurs have a strong differentiating technology base that can be used as a barrier to entry", says Chahab Nastar, Chief Innovation Officer at EIT Digital. "For a variety of reasons, Europe has a unique opportunity to lead in deep tech. At EIT Digital our ambition is to build the next dominant deep tech companies. The first step is to select those with a huge growth potential, and that is what we do with the EIT Digital Challenge. We see the ten winners having excellent growth potential and look forward to supporting them with the EIT Digital Accelerator." The EIT Digital Accelerator is a pan European team of distributed, hands-on business developers and fundraising experts operating from 15 cities across Europe, along with a hub in Silicon Valley. Since 2012, they have supported nearly 300 startups who raised a total of €400 million in investment, with €100 million directly facilitated by the Accelerator.